Update: It seems like the $1 donations options are new dead. Wow the Amex deals keep rolling. 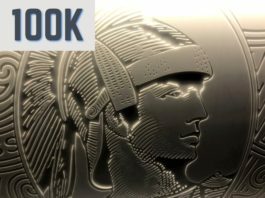 Last week American Express launched their new payment service called Amex Express Checkout with an offer of a $10 credit at select merchants for using the service to pay. Since this $10 credit is once per merchant, people have been scouring the other sites trying to find lower dollar value things to purchase. Someone over at Dan’s Deals sort of hit the jackpot. They found a $1 donation option on Ticketmaster for White Sox Charities. By donating $1 to White Sox Charities, you should effectively make a $9 profit. You can of course decide to donate more if you would like, but we will leave that up to you. To get the credit, click this link the original link died but here is a new one for a different charity dead too), add the $1 donation option and checkout with Amex Express Checkout. According to the terms of the promo, the credit should post within a few weeks, although it has been posting within a few days. This should mean another nice chunk of change for a lot of you. For some reason I don’t expect this option will stick around at $1, but hopefully it will. (Maybe I am just paranoid.) Either way, I will be making my donations as soon as possible this morning and I would recommend everyone else do the same! So you can earn $10 credit per card, per merchant? I was understanding it to be at any of the merchants, earn a $10 credit per card…meaning if you used it for NewEgg, you wouldn’t get the credit by shopping at Ticketmaster, WSJ, etc? Hmm, I do see similar questions on SD, FT, and other blogs on whether the same card has yet received credits for more than one retailer. No confirms yet that I saw. Anything that you saw, Shawn? Getting a bit concerned since I hit up a couple of merchants with multiple cards so far, and I think I’m going to wait for confirmation on multiple retailers’ credits before doing any more. Ditto. The Amex credits have posted for the charge to the primary card but not yet for the charges to the AU cards, which have separate logins. Maybe it will show up on Monday, since nothing seems to post on weekends. Hope to see answer soon. @ATM Actually, I’m referring to whether ONE card has gotten multiple credits as a result of buying once each from NewEgg and Ticketmaster, for example. Not whether a primary and then an AU card have both gotten one credit each as a result of buying once each from NewEgg, for example. Although that is a different question which would also be good to know. I have one card where both the primary and the AU have received the credit. Still waiting for credits from multiple merchants to post. Excellent post. I never would have found this offer were it not for you. Thank you very much! this one might be dead. I can’t figure out a way to load the $1 to the cart. nope, its still there. Just made a purchase. Does this work with Serve cards? Bluebird? So there’s no signup, just checkout with Amex Express Checkout? 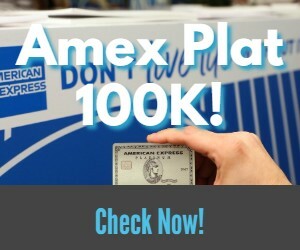 •Sorry, we can’t complete your purchase with Amex Express Checkout right now. Please choose another way to pay. I used another account and it went through…any thoughts on why? Trying using incognito or private mode. Some people have had issues with cookies. Perhaps many would have attacked the site after your post. I will try again later in the wee hours. The site says no tickets available……. Looks like Ticketmaster got wise to the influx of orders. Not available any longer, even using incognito window. Thanks Shawn!! 22 cards, hoping to get credit for all!! The AMEX checkout button is gone gone gone…wonder if regular AMEX checkout will still trigger the $10 credit? Newegg is now cancelling multiple orders of the same item by the same customer. You will receive the cancelled item email a few minutes after your purchase is made and confirmed. So, to save time, choose a different item for each AMEX card. Also, check your total purchase amount carefully. In each transaction I chose free shipping. But the system changed it, making a $1 charge closer to $6 with the faster shipping option. Lucky I caught it each time and changed it back to free shipping with the price immediate,y lowered. The Ticketmaster $1 donation still works for multiple AMEX purchases. I just tested it with the new link I added about 30 minutes ago and it worked fine. Of course, I am using AmEx Checkout, and selected e-delivery. I actually had that happen to me earlier. I just moved on to other cards and came back about 10 minutes later and it went through. Happened on two cards and waiting worked both times. I sent you two screenshots. Just clicked on your new link, Shawn, for Tennessee Theater (?). Says tickets not on sale now. Link not working at 5:12 pm EDT. When did you get tix on TN link? It died a few minutes ago it seems. I have updated the post. The 2nd link is working but AMEX Checkout does not seem to be an option. All of my $10 statement credits have posted. Hurray! A whole bunch just showed up this afternoon, unexpectedly since it’s a Sunday. Honestly, I was unaware of Miles to Memories just a few months ago. But now it is one of the very first blogs I read every day. Your diligent work is much appreciated. Awesome! I’m glad you are liking the blog. Thanks Maggie! Is amex checkout button removed from ticketmaster.com. I tried to make a donation but I couldn’t find the amex checkout button on the payment page. They seem to have removed it for that particular donation. I’m not sure if there are other opportunities for $1 on the site that would work. I checked and when buying tickets it does show up.